The Burton 8th Annual Model Railex Exhibition, organised by the Burton Railway Society. Up to 14 visiting layouts have been promised featuring exhibits of the ever popular ‘N’ and ‘00’ gauges. A varied mix of scales and exhibits from the steam and diesel eras of the UK . 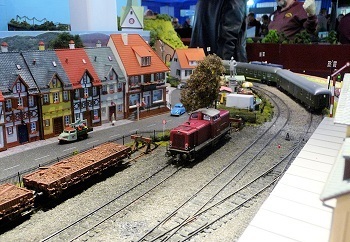 Extensive trade representatives will also be on site selling a wide range of model railway and Railwayana items as well as full size preserved railways. Tickets also allow you access to The National Brewery Centre Museum. If you wish to have a guided tour of the museum an additional ticket can be bought on the day.